The mid‑'80s were the apex of Bruce Springsteen's still‑flourishing career. Not only did Born In The USA become the most successful album he has ever released — selling more than 15 million copies in America and 30 million worldwide — but it spawned seven top 10 US singles, tying it for the record that is currently also held by Michael Jackson's Thriller and Janet Jackson's Rhythm Nation 1814. 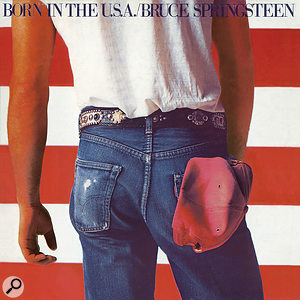 To date, those songs — 'Dancing In The Dark', 'Cover Me', 'Born In The USA', 'I'm On Fire', 'Glory Days', "'I'm Goin' Down' and 'My Hometown' — still comprise more than half Springsteen's present tally of 12 top 10 hits, while the title track is a radio staple and a regular at Fourth of July celebrations. Focusing on a small‑towner who, after trading jail time to serve his country, returns home an outcast and can't even find work at the local refinery, Springsteen's song, far from appealing to the jingoistic, actually flushes the American Dream straight down the toilet. And it does so with a intense passion that is stirring and infectious. That is, on the hit version, with its thunderous drums and then‑contemporary synth backing. Yet, as originally recorded by 'The Boss' and eventually issued on his 1998 Tracks four‑CD box set, the acoustic demo is, in line with its desolate message, both stark and funereal. 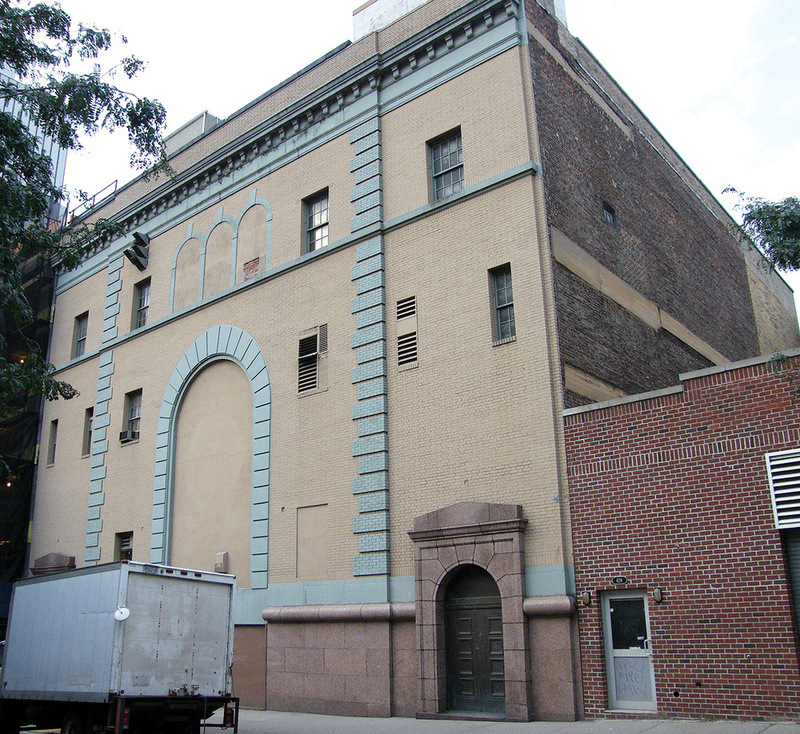 The Power Station on West 53rd Street in Manhattan. It was in 1981 that writer‑director Paul Schrader asked Bruce Springsteen to write the title track for a movie about a blue‑collar bar band. This had the working title Born In The USA, and Springsteen came up with the song of the same name while working on a track called 'Vietnam'. Schrader would eventually rename his film Light Of Day after Springsteen, who turned down the lead role that subsequently went to Michael J Fox, provided him with a replacement song in the form of '(Just Around The Corner To The) Light Of Day', recorded by Joan Jett. 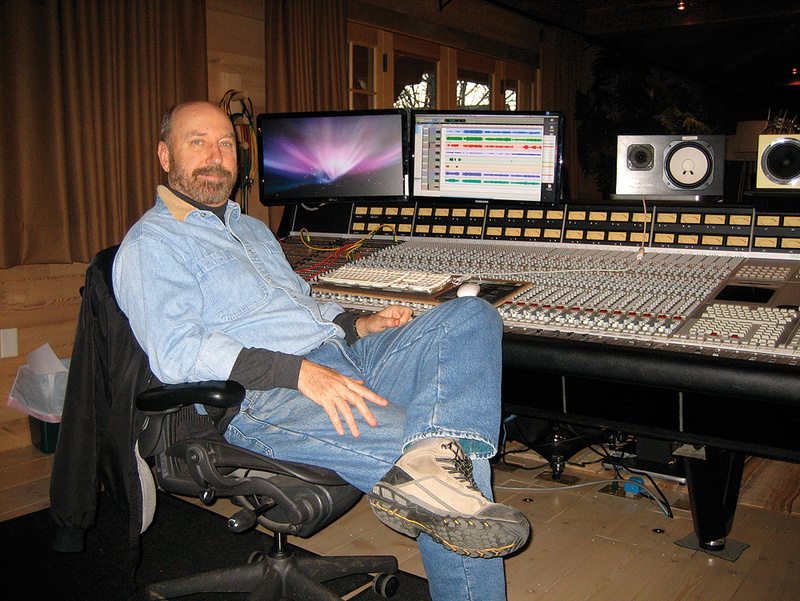 In addition to serving as an engineer on 18 Springsteen albums and numerous live performances, Scott has also recorded artists ranging from Bob Dylan, Natalie Merchant and Steve Perry to Manhattan Transfer and Little Steven & The Disciples Of Soul. Musically inspired by the Ed Sullivan Show TV appearances of both Elvis Presley in 1956 and the Beatles in 1964, Scott taught himself to play guitar as a high‑school student in Santa Barbara, California, during the mid‑'60s. Then, after playing bass in some local garage bands, managing a couple of them, studying music theory and orchestration in college, and working for concert lighting and production companies in conjunction with acts such as Jimi Hendrix, Led Zeppelin and Blind Faith, he began engineering, recording his own songs with a TEAC 3340S simul‑sync four‑track tape recorder and six‑channel Sony mixer. In 1975, two six‑week engineering courses led to Scott securing a job at LA's Clover Studios, owned by A&R/producer Chuck Plotkin. There, in the course of assisting on an album by Robert Palmer and recording others by Booker T & The MGs and Harry Chapin, he honed his craft by learning from the likes of Steve Cropper, producers Tom Dowd and Steve Smith, and engineers Phill Brown and Richard Digby‑Smith. It was quite an education, yet Scott still had plenty to learn about Bruce Frederick Joseph Springsteen when, in the spring of 1978, he first encountered the man with whom he would forge his most prized professional relationship. The layout for 'Born In The USA' in the Power Station's (now Avatar Studios) Studio A. Following this assignment, Toby Scott became Clover's manager and chief engineer, and just over a year later he began combining these roles with independent work at other studios. In 1980, he assisted Chuck Plotkin on the mix of Bruce Springsteen's album The River. This was after Neil Dorfsman and Bob Clearmountain had already tried their hand at it. The track sheet from a safety copy of 'Born In The USA'. A couple of months later, Toby Scott found himself using the Record Plant's remote truck to record some Bruce Springsteen concerts. 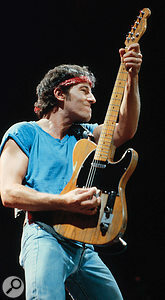 Then, after mixing Gary 'US' Bonds' On The Line album in March 1982 — for which Springsteen wrote seven of the songs, co‑producing them with Steven Van Zandt — Scott was asked to fly to New York to not only mix Van Zandt's own Men Without Women, but also to record Springsteen's Born In The USA at the Power Station. "From noon until six, I was working at the Hit Factory, mixing Steve Van Zandt, and then from seven until one in the morning I was with Bruce at the Power Station, recording basic tracks,” Scott explains. "Eventually, Steve was so excited by the mixes and the perspective, he wrote four more songs that I recorded and mixed, and in all I ended up spending about four months in New York. "Bruce had recorded The River at the Power Station, which he liked because of the ambience of the main room, but I had never worked in a control room like that. Most all of the control rooms in Los Angeles were of the dead variety, or acoustically treated so that anything by the speakers was live while the back of the room was dead [or, later, the other way around]. It was therefore strange being in the Power Station environment where everything was very live. 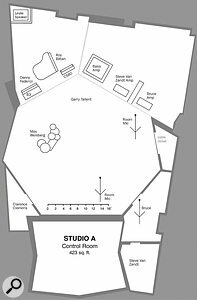 "The floor in the control room was wood, all of the walls were wood, the ceiling was wood, and the ceiling was not sloped whatsoever, whereas Los Angeles studios in the '70s and early '80s had gotten into this design that had a focused mix point. The Altec 604E monitors would be up on the wall above the control-room glass, pointed at an angle down towards a focused mix point. From there, the ceiling would be sloped down to about six or seven feet above the head of the focused mix point, and it was like sitting at the cone of a big speaker. The Power Station was just a rectangular room, with the speakers actually hanging from cables or track on the ceiling, and it was fabulous. To this day, I will declare the best rooms I have ever worked in are those that are either designed or run by active engineers: not people who used to do it, not people who think about doing it, but people who are doing it. On the first day of Born In The USA sessions all was far from well, as Scott explains: "nothing came together... the sound was just a mish-mash.” Determined that this experience would not be repeated on day two, he therefore re‑analysed the main studio area for musician/instrument placement, including that of E Street Band drummer Max Weinberg. Utilising the drum‑miking setup that Scott had perfected with Jeff Porcaro, Weinberg enjoyed a bigger sound courtesy of Neumann U87 room mics that were on huge boom stands at the far end of the room, pointing up towards the ceiling. While bassist Garry Tallent was in the main room with Max Weinberg and recorded with a DI and an amp miked with an Electro‑Voice RE20, saxophonist/percussionist Clarence Clemons was in the lounge, looking through the porthole of the studio loading door so that he could see Tallent and Weinberg, as well as Bruce Springsteen who sang and played his guitars in an iso booth to the right of the control room, adjacent to the mic closet. Steve Van Zandt was in his own booth to the right of the control room, and both his and Springsteen's guitar amps were in another booth across from the control room on the right‑hand side. Keyboardist Danny Federici, meanwhile, played his Hammond B3 through a Leslie. This was miked with a Neumann U87 on the top speaker and an RE20 on the bottom in a booth directly across from the control room on the left‑hand side, separated by a divider from yet another booth which housed Roy Bittan, who played the grand piano as well as a Yamaha CS80. "The entire E Street Band played live,” says Toby Scott. "Bruce sang into a U87, and while he may have redone his vocal, as a general rule he has always been very confident. He just sings his part and that's it, and usually the only reason we will do a second take is if he wants to impart a different inflection, sing with a fuller voice, whisper something a little bit more or change the words. After I'd started out recording him with a U87, he used a U67 for a little while because it was fuller and smoother. However, it was not quite as clear, and so I then miked him with a dual‑capsule Sanken CU41. "The tape machine in the Power Station's Studio A was a Studer A80, the console was a 44‑input Neve 8048, and that facility must have had around 10 reverbs. One of them was a five‑storey stairway that had been blocked off, where you could move the microphones and speakers up and down. Then there was the Ladies' Room, formerly the ladies' bathroom, which was an all‑tiled room that they used for very good drum reverb. Additionally, they had about five EMT 140 stereo plates, along with a Scandinavian knock‑off of the 140. "The assistant there told me, 'We have this other plate, but it's broken.' I said, 'What's wrong with it?' and he said, 'The motor on the decay adjust is shot.' I said, 'Let's hear it,' and so he plugged it in, I ran a drum into it, and the decay boomed and rattled and kept on going for about three or four seconds. When I was told it was broken and nobody wanted to use it, I said, 'Perfect, I'll take it! Put my name on it for the duration of this project!' I wanted stuff that nobody else was going to screw with. For his part, Toby Scott was able to understand Springsteen's modus operandi when the latter explained that, were he to teach the musicians a song from beginning to end, they'd immediately know all the chord changes as they transitioned from one section to another, probably resulting in contrived licks and less spontaneity. What he wanted to capture were those moments of inspiration that might emerge during the early takes, and such was the case with 'Born In The USA'. After explaining the structure, Springsteen went to his booth and set the tempo while his fellow musicians played through their parts. Then, once everybody was ready, Scott rolled tape and take one was recorded. "I was in the control room, listening through my Yamaha NS10s at a reasonable volume, and then Chuck asked me to put it up through the big speakers,” Scott recalls. "So, that's what I did, and I remember listening to it and going, 'Wow!' Right from the start, the snare drum was exploding, and you have to remember this was 1982, when we were in the middle of disco‑land there in New York. There were no exploding snare drums in New York — there were no exploding snare drums anywhere — and then, what with Danny's synthesizer playing that grand intro, the song was just cracking away and I turned to Chuck Plotkin and Jon Landau and said, 'I don't know whether it's Bruce, but man, it sounds good to me!' They agreed. Thereafter, with a sound perspective that Toby Scott could return to every night, the sessions proceeded quickly, with Springsteen delivering a steady stream of new songs, and in less than a month he and the band had recorded all of the material he felt he needed. About a week was then spent on overdubs before, in mid‑1982, Scott began mixing the album on an SSL console in the Power Station's Studio C.
Recorded with Max Weinberg and Roy Bittan, this moodily atmospheric, synth‑based rockabilly track would be added to the album and released as its fourth single. However, many of the other songs that Springsteen had demoed on the TEAC were now given the full band treatment, before he quickly opted to go with the original four‑track cassette recordings and issue them on the Nebraska album. Released in September 1982, this had been completed a couple of months earlier while Born In The USA remained in limbo. It wasn't until February 1983 (by which time Toby Scott had quit Clover Studios to become a freelancer) that the sessions were revived for a week at New York's Hit Factory. They then resumed that May, when Springsteen cut 'My Hometown', and continued sporadically through the beginning of 1984, when 'No Surrender' and 'Bobby Jean' were both completed. At this point, after Scott did some rough mixes at the Power Station, Bob Clearmountain was recruited to add his magic touch, and while Scott was retained as a consultant and sounding board, he considered his job largely done until, that May, Jon Landau persuaded Springsteen to compose an upbeat "here‑and‑now song” that could serve as the album's lead-off single. That song, written overnight and recorded the following day at the Hit Factory, was 'Dancing In The Dark'. To date, it is the most successful single of his career. Released on 4th June, 1984, Born In The USA was not only the best‑selling album of 1985 in the United States, but also the one to spend the most ever weeks — including its first 84 — on the Billboard top 10. In total, it was on the Billboard 200 for more than two and a half years, during which it shared another record — having topped the chart for four weeks from July 7th to August 4th, 1984, it actually spent 18 weeks at number two while Prince's Purple Rain resided at number one, marking the longest period with a fixed top two in the history of the Billboard 200. In January 1985, Born In The USA replaced Purple Rain atop the chart for another three weeks. Told that no studios in New York had U67s, Scott subsequently located some that he used, together with 421s, on the bass drum. "At that time, if I recorded each of Bruce and Steve's electric guitars with two microphones, one of those mics would probably have been an SM57, positioned about two or three inches from the grille cloth. Generally, the actual sound of each amplifier would determine where I would point this microphone, not only in terms of angle but also position. One starting place is straight on, perpendicular to the grille cloth — you can start in the middle of the cone, you can move to halfway between the middle and the edge of the cone, or you can be all the way out at the edge. Then, the other option is to angle the microphone at maybe 30 degrees off perpendicular and move that across the axis so that it's looking straight down the side of the cone and pointing at the centre. These were all techniques that Porcaro had turned me onto when trying to get the drums to sound thinner or tubbier depending on where you pointed that mic along the head, from the centre to the rim.